A Division of Design Presentation Associates. The leading architecture design resource online! Architectural Drawings is the leading gateway, providing many architects, engineers and designers with architecture design, architectural rendering, architectural drawing services and other architectural services. "Architecture Design, Architectural Drafting and Architectural Drawing services can help you convert your architectural renderings (paper, raster, etc.) into any CAD format of your choice." of the filethat I am hereby uploading. Welcome to Architectural Drawings, the leading architecture design resource online! Architectural Drawings is the leading gateway, providing many architects, engineers and designers with architecture design, architectural rendering, architectural drawing services and other rchitectural services. We offer CAD designing and drafting services including architectural design, home plans, architectural drawings, architectural drafting, architectural renderings and floor plans from the development stage of sketches to the final preparation of complete construction documents (plan, layout, elevation, cross-sections,). We work with AutoCAD, Architectural Desktop, Detail CAD, Cadian, 3D StudioMax. 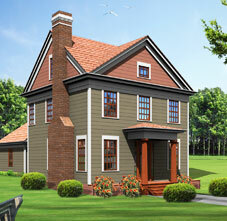 to provide our clients suitable architectural designs and rendering options. Our architectural design team is committed to giving you the best architecture design and drafting conversion results on all your architecture designs, architectural drawings, architectural drafting, architectural renderings, floor plans and house plans. If you provide us with your basic concept/schematic drawings, we will develop them into construction documentation. Our mission is to provide clear and accurate details of your architecture designs. Architectural renderings, visualizations and animations are essentials of today's architectural marketplace. We are specialists in AutoCAD architectural services and other architecture related services. Architectural Drawings can handle all of your architectural drafting needs for any commercial or residential project. Architectural Drawings provides architectural design services. Our detailed drawings incorporate layouts, elevations and cross sections. Structural drawings are a task to locate, cumbersome to handle and difficult to view. All rights reserved. Contents and brands appearing on the website, and the domain name constitute the copyrights and trademarks owned by Design Presentation Associates, Inc, 301 N. Harrison Street, Suite 9F - 414, Princeton, NJ 08540. Unauthorised use not permitted.